This statistic shows the number of non-employed people (not in the labor force) in Sweden from in 2017, by type. 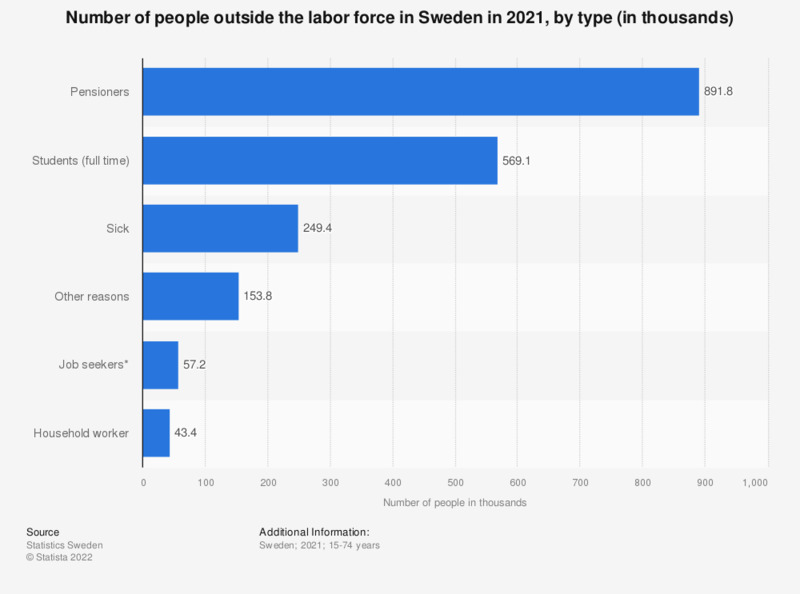 The biggest group of non-employed people in Sweden were pensioners (about 945 thousand). The second biggest group were full-time students (more than 520 thousand). The source adds the following information: "Job seekers are defined as people who describe themselves as job seekers but do not qualify as unemployed people officially".